The countdown is on for our fifth annual winter carnival. Activities and events from our community partners and businesses are filling up our schedule and the week from Feb 12 to 18 is sure to be packed with fun, active, healthy activities for the whole family to enjoy! We will be hosting A Valentines Comedy Night on Feb 14 at the Community Credit Union Business Innovation Centre. Ticket are $15 and can be purchased at Amherst town hall, Bliss Café at Dayle’s Grand Market, at Simply for Life and on Eventbrite. Your ticket price includes the choice of a decadent dessert, tea or coffee, there will also be a cash bar available. The night will be full of fun and laughs, get your tickets before they are gone! We also will be hosting our Town of Amherst Athletic Achiever Awards on Feb. 12. Be sure to come out and celebrate our local athletes at 6:30 p.m. There will also be an outdoor play day on Feb. 17 at Dickey Park from 2-4 p.m. It will include some fun in the snow, wagon rides, a doggie social, street hockey with the Ramblers and so much more. And don’t forget about our famous Chili Challenge being held at Dayle’s Grand Market on Feb 16 from 11:30-12:30 p.m. Things are sure to heat up as our local politicians battle it out to claim the title of Chili Champion. Come out and sample each one and cast your vote for the best. A Big Thank you goes out to all of our local community groups, partners and businesses for participating in this year’s winter carnival. What a great community we live in! It is sure to be a fantastic week for all to celebrate Heart, Culture and Play. Stay tuned for a full schedule of events coming soon! 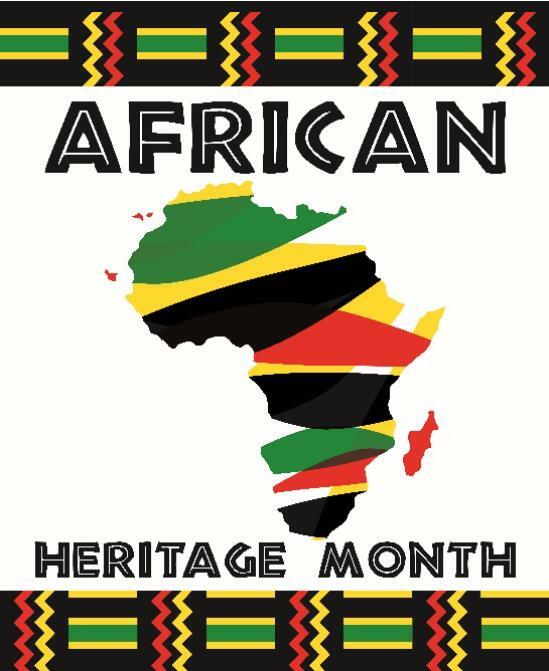 February is African Heritage Month. On Feb. 1, there will be the African Heritage Month Launch-Poster Unveiling at the Dr. Carson & Marion Community Center in Springhill from 10:45 a.m. to 1 p.m. On Feb. 4, Dr. Jeri Brown, Linda Carvery and the ARHS Jazz Band bring you “Winter Solstice Souls of Sirens” at the ARHS Dr. Susan Taylor Auditorium, starting at 6:30 p.m.
On Feb. 21, you can enjoy And Still I Rise, which features a roast beef and turkey dinner, entertainment and keynote speaker Jason Mclean, NSGEU President. For more information on these events contact CANSA at 902-661-1509. Have you heard of our Adult and Senior Walking Club? All are welcome on Tuesdays and Thursdays from 9:30-10:30 a.m. at the Amherst Stadium. The walking track will be designated to you during this time. Walking challenges, information sessions, prizes and healthy snacks will be offered throughout the program. To sign up call 902-667-6500. We hope to see you out supporting active, healthy Amherst. Amherst Fire Department Bingo - Feb. 2 from 7-10 p.m.